SIAM: Thinking of a Career in Applied Mathematics? A career in applied mathematics isn't just about crunching numbers. It's a career that uses mathematics to solve problems in the environment of your choice. Where can you make an impact? What kinds of problems might you work on? What�s out there for someone with your talents, interests, and background? 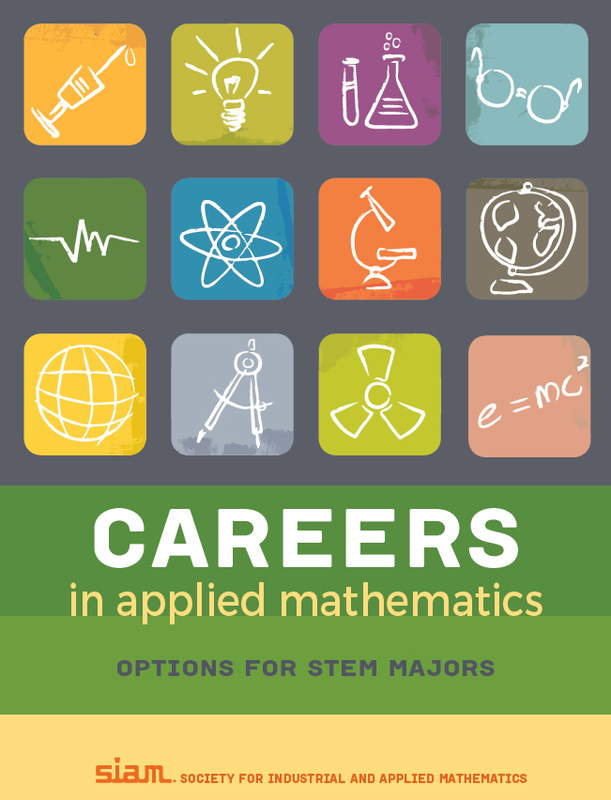 If you would like customized copies of Careers in Math (reprinted with YOUR COMPANY logo or icon replacing some portion of the back cover), click here. Distribution options can be discussed, or the copies bulk shipped to your location.